I’ve used every flagship Samsung smartphone that has released over the past three years, including the Galaxy S5. Earlier, I had also used the Nexus S, Galaxy S2, and the Galaxy Nexus as my primary devices. Now, I’ve switched from last year’s Galaxy S7 edge to the Galaxy S8+. My colleagues Josh and Adnan have already written about what they like about the S8+ and the features that have made their life easier, and in this post, I’m listing out my favorite features of Samsung’s 6.2-inch flagship after more than three months of using the device. Undoubtedly, the best thing about the Galaxy S8 and the Galaxy S8+ is their almost bezel-less, Infinity Display. It’s big, bright, and colourful, and makes everyone go wow. HDR videos look brilliant, but I was only able to test a few short clips and movie trailers. Netflix should soon bring support for HDR videos on the Galaxy S8. Compared to other bezel-less phones like the LG G6 and Mi Mix, the Galaxy S8+ looks more like a finished product. I also love the fact that Samsung has finally moved away from physical navigation keys. The new pressure sensitive home button works well to replace the physical one, but I wish Samsung had managed to implement an in-screen fingerprint sensor. Whenever I think of buying a new phone, I want it to have a better, but most importantly, a reliable camera. Samsung’s smartphone cameras have shown a consistent step up since the company started using OIS on its phones. 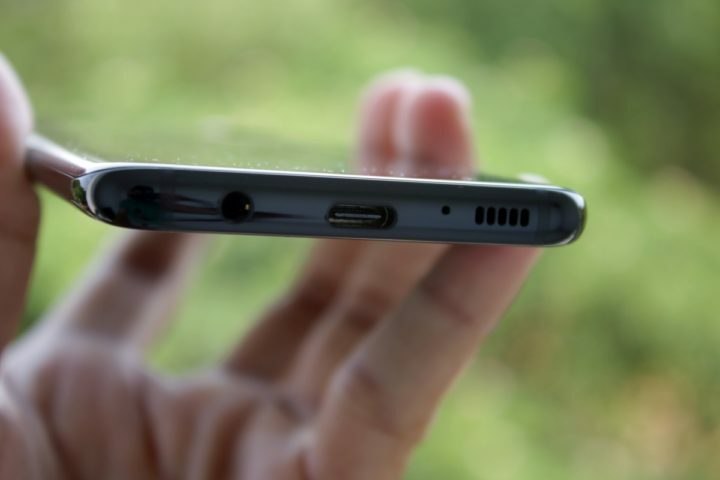 The Galaxy S8 is the third-generation Galaxy S series phone to feature an optically stabilized camera. Even though on-paper camera specs haven’t changed much, I’ve noticed that the Galaxy S8 captures slightly better pictures than the Galaxy S7 could, thanks to more processing power at hand. Multi-frame processing makes sure that images in low-light conditions are sharper and have better colours. The yellow tint that was noticeable in the Galaxy S7’s images is nowhere to be seen now. 4K videos are electronically stabilized too, making them look smoother. The selfie camera is much better, too, thanks to the increased resolution and autofocus support. The Galaxy S8+ consistently captures clearer images and stable 4K videos. Just like the Galaxy S7, the Galaxy S8 has a class-leading camera, and I love it. Secure Folder debuted with the Galaxy Note 7, but the phone was never released in India, so I got to use this feature for the first time on my Galaxy S8+. It has now become one of those features that I use on a daily basis. I can easily hide sensitive or private files using Secure Folder. It’s quite easy to set up and use, and it works with iris and fingerprint. Since the Galaxy S8+ is a dual-SIM phone (at least in India), I’ve also set up two WhatsApp accounts using Secure Folder. I think every smartphone maker should have a feature like this. I am surprised neither Apple nor Google have released such a feature yet. In fact, you can now use the app on other Samsung phones running Android 7.0. Unlike Apple and HTC, Samsung didn’t focus too much on improving the loudspeaker quality of its phones. The Galaxy S7 edge had a pretty average speaker. The Galaxy S8+ has a better one, though. There is some improvement in volume and depth in the audio. I wish Samsung launches the Galaxy Note 8 with stereo loudspeakers, though, especially since the iPhone 7 Plus and the HTC U11 have kickass stereo setups. The South Korean smartphone giant has improved audio quality through the earphones. Not only did it use better amplifiers for higher power, but the company also started bundling pretty great in-ear earphones. They are tuned by AKG, and I think they’re some of the best earphones (bundled) I’ve ever used. Good that Samsung acquired Harman last year and is collaborating with the company for improved audio on its phones as well as tablets. Samsung has improved a lot when it comes to UI customizability. It has one of the best collections of theme packs, which can be downloaded through the company’s Theme Store. There’s something for everyone. I’ve downloaded a few Material UI themes and some squircle-shaped icon packs to jazz up my phone as per my liking. There’s a great collection of wallpapers as well as icon packs in the Theme Store. If you don’t like switching to a whole new theme, you can just download wallpapers and icon packs. You can now also customise the look of the phone using full-colour Always On Display wallpapers. Own a Galaxy S8 or Galaxy S8+? Upgraded from an older Samsung smartphone? Let us know what you like the most about the device down in the comments! So lame to use all this useless features just designed to inflate ego from consumers. Keep on spending your money in crap people!! Make this corporations richer! We need more features like ambient display and raise to wake up the screen. Had my S8 for 3 months, and I preferred it over my S7 hehe! I enjoyed with all awesome features of the icon s8 like camera, design, screen SuperAmoled, wireless charging, iris scanner, really device number one !